SAN FRANCISCO — Judy Geniac has been selected as the new superintendent of Hagerman Fossil Beds National Monument and Minidoka National Historic Site, both located in Idaho. She replaces Wendy Janssen, who was recently selected as superintendent of Appalachian National Scenic Trail. Geniac is currently leading a servicewide training program, based within the boundaries of Grand Canyon National Park. The program orients new employees to the National Park Service mission, operations, and leadership. While with the NPS Geologic Resources Division, she was instrumental in the creation and management of the Geoscientists-in-the-Parks program, which has placed many paleontology students in national parks, benefiting both parks and students. 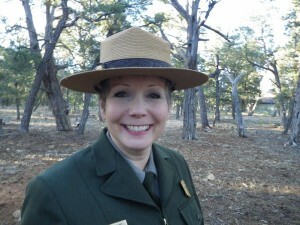 She served with the U.S. Forest Service as a regional partnership liaison, where she was involved in the nation’s largest “Get Outdoors Day!” event. Geniac led the NPS Research Learning Centers across the U.S. to restore historic buildings, using them as centers to facilitate research and improve management decisions. Her career includes working with leaders both inside and outside the NPS to help manage mineral development within and adjacent to parks. She has helped write regulations and policy, worked within public affairs, and has done field work, including wildland firefighting, guiding park visitors, wildlife habitat improvement, and invasive plant irradiation. Geniac earned her bachelor’s degree in biology from Lake Superior State College in Sault Ste. Marie, Mich. She holds master’s credits in environmental management from the University of Denver. She enjoys hiking, biking, kayaking, camping, skiing, and traveling with family and friends. She lives with her husband, Ronnie Walls, a retired NPS law enforcement and interpretive ranger. They have three adult sons with families. Geniac will begin her new assignment in mid-August. Hagerman Fossil Beds National Monument is a world-class site, a scientific and historic asset, and a place to unearth one’s curiosity about Pliocene fossils: mammals that include America’s first true horses, giant ground sloths, and camels. Over 200 different species have been discovered, and research continues on this paleontological ecosystem. Paleontological research is an important focus in understanding changing climates. The Hagerman Horse Quarry is a National Natural Landmark, and this extinct horse is Idaho’s state fossil. The Oregon National Historic Trail crosses this 4,400 acre park, and the scenic Snake River adjoins it. To learn more, visit www.nps.gov/hafo. The story of Minidoka began shortly after the bombing of Pearl Harbor and the issuance of President Franklin Roosevelt’s Executive Order 9066 to relocate and detain U.S. citizens of Japanese ancestry on the West Coast. They were forced to abandon their homes, schools, and jobs. Minidoka National Historic Site stands in testament as the single largest such forced relocation in U.S. history. It is a memorial to U.S. citizens, a key history lesson, and enduring accounts of tragedy and triumph. It provides a pivotal opportunity to examine the civil rights of U.S. citizens and to focus on the future. A memorial on Bainbridge Island, Wash. is a unit of this national park. To learn more, visit www.nps.gov/miin.